In a few hours, a major showdown will occur in New Orleans between the San Francisco's 49ers and our neighbors, the Baltimore Ravens. Since the Philadelphia Eagles' descent into crapitude, I will be rooting for these "other" birds. Many friends and coworkers are looking forward to seeing an NFL champion team once again reside close to home, especially those folks who are from Baltimore originally. They are frenzied with joy and I am glad for them. The illustration above is dedicated to all Baltimoreans, near and far. Edgar Allan Poe stands with his bird and a slight smile on his lips – perhaps a portend of tonight's result? He lived for a while in Baltimore, and died and is buried there. 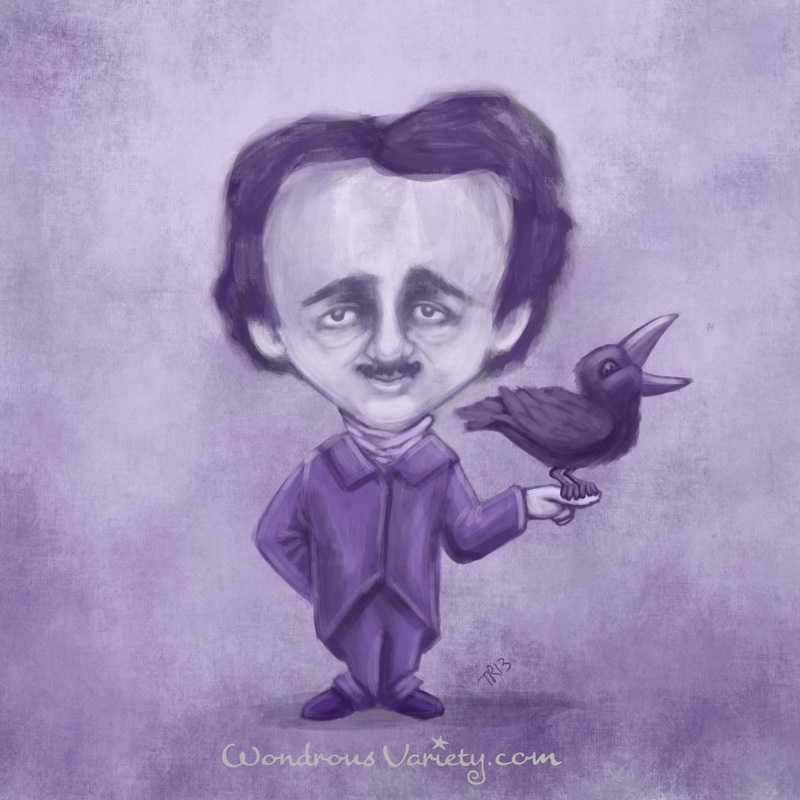 The Ravens received their name in a contest, where the winning entry was inspired by Poe's famous poem about a distraught lover who receives a mysterious visitor in the form of a raven with a limited vocabulary. 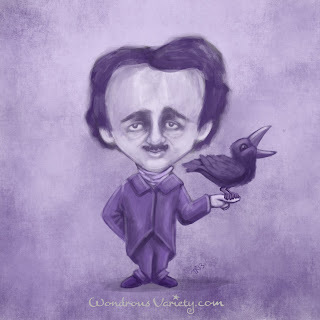 According to Wikipedia, Poe chose the raven because "he wanted a non-reasoning creature capable of speech." Hmm. I wonder if our purple-clad turf jockeys are aware of that little factoid? In addition to Edgar, I've also produced two other iPad paintings with my favorite app. A rose from a photograph and a portrait of Will Smith as Detective Spooner from the movie "I, Robot." This film was loosely inspired by Isaac Asimov's book of short stories about robots. The producers used some names and basic background, but nothing else. A sharp looking techie action flick, it doesn't cover new ground, but I love watching it just the same. Spooner is among my favorite of Smith's characters. 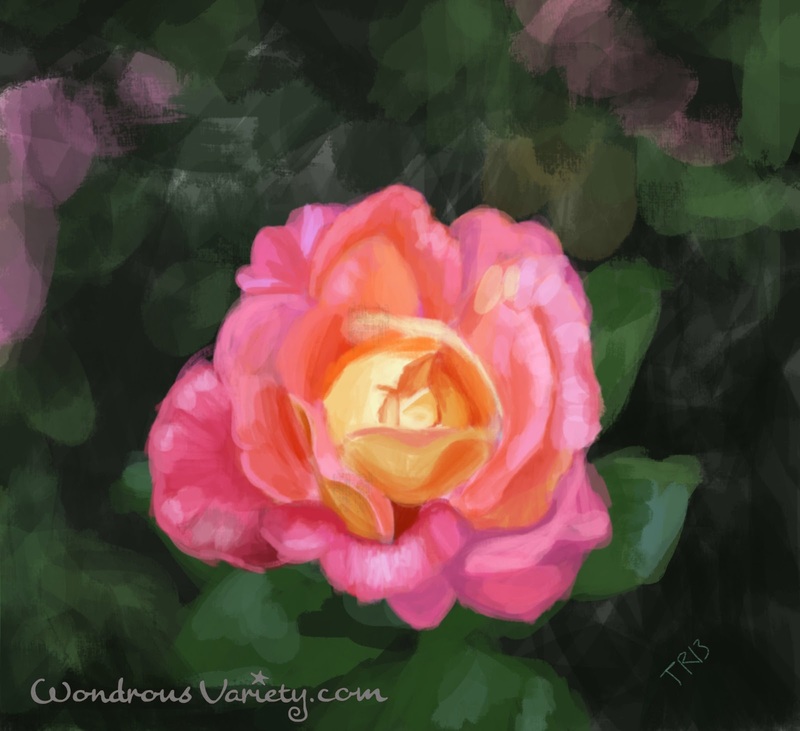 Ironically, the more painting I do on the iPad, the more I want to plunge headfirst back into watercolor and gouache, just to see what comes out after all this digital experimentation.